A good resume is an important part in today's world to get a job. In order to get you an interview call, here are Free resume samples / resume format / resume template for fresh MBA graduate. The resume below are provided as examples to help you create your own resume. You can write your resume using this professional Resume example. This resume template uses an outline style format to separate the various sections. You should modify the sample resume objective, headings and content to suit your needs. Read through the article for more information about how to write a good resume? · Supervising, monitoring, resolving conflicts, and improving overall workplace moral and also the safety, rewards and administrative work. · Developing the hiring process. yes i agree, good resume is the essential part if you want to get the job you dream of. choose the best possible format which speak remember first impression is the last and the resume is you first impression over recruiters. Thanks for the information. It takes a lot of experience to be a great resume writer. That's why professional writers like resume writing services Edmonton are really a hit. They make resumes that guarantees to catch the employer's attention. 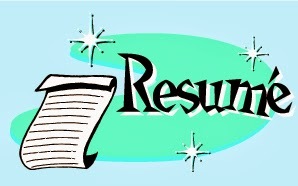 Thanks for sharing some Free resume samples / resume format / resume template for fresh MBA graduate samples. Knowing when the chronological versus the standard resume format works best is crucial to creating a powerful resume. There are certain situations where one format works better than another in selling you and your abilities.